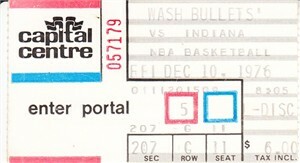 Dec. 10 1976 Washington Bullets vs. Indiana Pacers ticket stub. 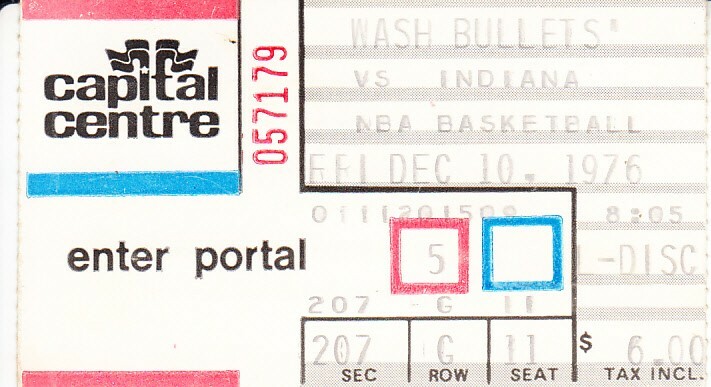 The Bullets featuring future Hall of Famers Dave Bing, Elvin Hayes and Wes Unseld, while the Pacers were in their first season as part of the NBA after the ABA folded. Has minor to moderate flaws and wear. ONLY ONE AVAILABLE FOR SALE.